On May 23rd, 1967, the United States Air Force scrambled to ready nuclear missile-laden aircraft for deployment. Radar systems designed to detect incoming Soviet missiles had just been disrupted, in what the military perceived to be an act of war. But before any nukes were launched in retaliation, it seems Air Force command was told to stand down. Just in the nick of time, the United States’ newly minted Solar Forecasting Center was able to convey the true cause of the radar jamming: a rash of powerful solar flares. That’s according to a new military history paper, which reveals for the first time just how close humanity came to annihilating itself because of space weather. “This is what we would characterize as a really near miss,” lead author Delores Knipp, a former Air Force officer and space weather physicist at the University of Colorado, Boulder, told Gizmodo. Space weather is a catch-all term for a bunch of high-energy material the sun hurls our way during periods of heightened activity. It starts with a solar flare, which sends a burst of x-rays and ultraviolet light streaming off into space. When a flare strikes the upper portion of our atmosphere, called the ionosphere, it acts like an EM pulse, ripping electrons off atoms and building up tremendous electrical charge. Radio communications are sometimes impacted. Over the horizon radio becomes difficult. When airplanes are flying over the poles, the only way they communicate with control centers is high frequency radio waves bouncing over the continents. But it’s just a temporary difficulty lasting ten minutes to hours at the most. Following a major flare, the sun typically pops off a giant cloud of magnetized plasma, called a coronal mass ejection (CME). This slow-moving blob of starstuff can take from 12 hours to several days to reach the Earth, but it’s responsible for the most severe consequences of space weather, including the aurora borealis (northern lights) and widespread power blackouts. As Berger emphasized, space weather is usually a temporary difficulty. But it can lead to much bigger problems if people in power don’t understand what’s happening, as illustrated by the Great Solar Storm of May 1967. At the time, the US military had just begun to routinely monitor solar activity through a network of observers at the Air Force’s Air Weather Service, which provided daily updates to forecasters at NORAD. On May 18th, observers noted a group of sunspots concentrating in a single area on the surface of the sun. On the afternoon of May 23rd, a series of bright solar flares were observed and photographed in sequence (including one that would later be classified as the largest solar radio burst of the 20th century). Shortly after the flares were spotted, NORAD’s Solar Forecast Center put out a bulletin predicting a “significant” worldwide geomagnetic storm within 36 to 48 hours. The forecast came not a moment too soon. Just as it was being issued, the Air Force was placing additional aircraft in “ready to launch” status, in response to its Ballistic Missile Early Warning System (BMEWS) going dark. 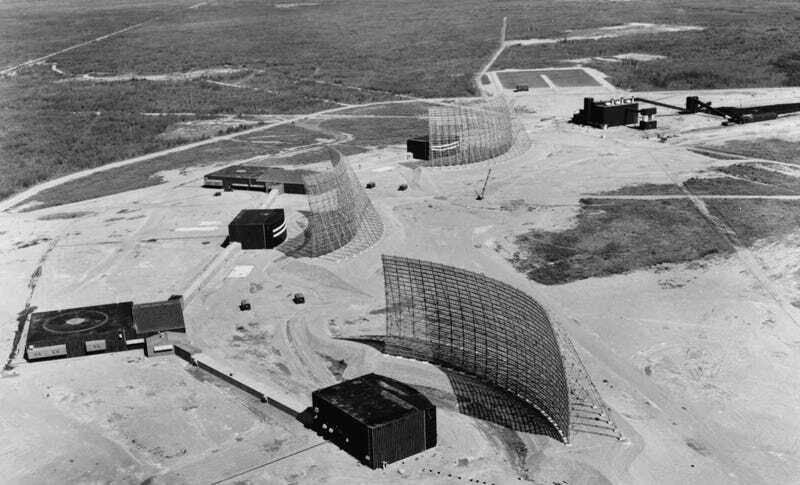 That radar system, which operated in far northern latitudes throughout the Cold War, is a textbook example of the sort of technology that can be knocked out by space weather. According to Knipp and her co-authors—some of whom are retired US Air Force officials with close knowledge of the events—it’s likely that information from the Solar Forecasting Center made it to the highest levels of command in time to avert a nuclear disaster. About 40 hours later, a geomagnetic storm hit the Earth, disrupting radio communications and igniting the northern lights as far south as New Mexico for about a week. I’ve argued before that the dangers of extreme space weather are not well appreciated. For instance, if the largest geomagnetic storm on record—the Carrington Event of 1859—were to hit us today, it could fry transformers worldwide, knocking billions of people off the grid for weeks to months. But it hadn’t occurred to me that space weather could trigger an even greater disaster in a militarily-tense era, if the consequences for technology were not well understood. Rather than spelling the end of modern society, the May 1967 solar storm fueled US interest in space weather monitoring, setting the stage for the forecast tools we have today. Let’s just hope fortune favors us again the next time the sun throws a sucker punch our way.